The best vegan butterscotch blondies made with dolled up desserts vegan Monroe blondie mix and home made vegan butterscotch chips. Using sweet potato instead of classic flax egg and using vegan chocolate chips to bring you back to childhood times. Let’s get baking! 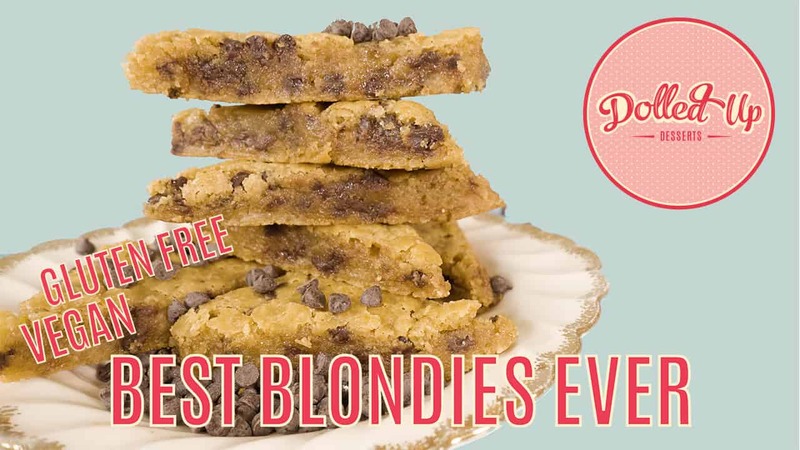 Blondies are amazing, we all know that. Our blondie mix is definitely my favourite. Even if I’m a little biased, I still think our mix makes the best blondies out there. But I was curious to see if there was a way to make our blondies even better. Enter butterscotch: a flavour that was a constant in my childhood. The blondies I used to enjoy had butterscotch chips in them, but after going vegan and gluten-free I couldn’t enjoy butterscotch chips because they’re made with milk. So, I made my own! By getting creative with ingredients and throwing chocolate into the mix, the absolute best blondies were born. In our egg replacer endeavors we found that sweet potato made the best brownie. We swapped out our flag egg for sweet potato and ended up with this beautifully textured, gooey blondie with chocolate and butterscotch chips throughout. It’s a taste that will bring you back to better days and simpler times. 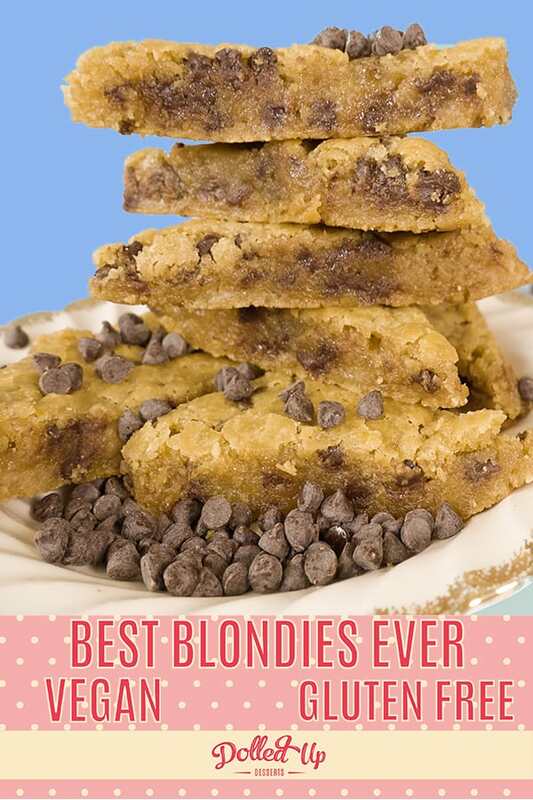 If you’re a fan of blondies, (I don’t mean the band, but Blondie is cool too) than you’ll love these and you’ll agree these are the best blondies on the planet. 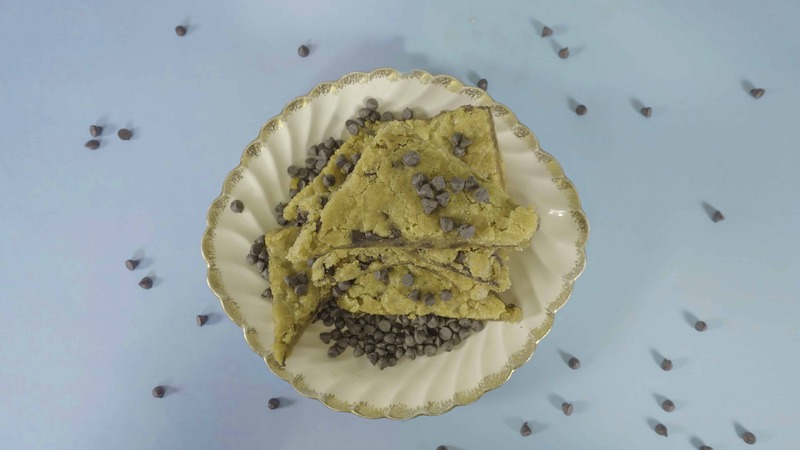 A twist on the classic Dolled Up Dessert Blondie featuring Chocolate Chips and Butterscotch. 1/2 Cup Icing Sugar, sifted. 2 Cups Coconut Oil, melted. Melt cocoa butter, non-dairy butter and cashew butter in a microwave or on a stovetop. Mix in butterscotch flavouring and icing sugar. Pour into parchment like pan or bowl. Place in the fridge for half an hour to harden. Chop up for blondie batter. Eat the rest. Pour 1/2 cup of melted coconut oil into a bowl. Add in 2 tbsp of hazelbut extract. Add in ¼ cup of white sugar with some water mixed in and add 1 tbsp of vanilla extract. Add in 1/3 cup of mashed sweet potato and combine ingredients. Add in Dolled Up Desserts Monroe Blondie Mix. After dough is formed, add in ¾ cup of chocolate chips and 1/3 cup of butterscotch white chocolate chips. Bake at 350 F for 25 minutes in a greased 9x9 inch pan.